We have entered an age of fierce and essential protesting. The #BlackLivesMatter Movement demonstrated the power of organizing and demanding to be heard on-line, in the media, and on the streets. Now in regards to climate change, we are witnessing a global uprising of young people and adults insisting they need to be heard by the powers that be. While to many people much of these uprisings seem totally spontaneous and the leaders appear to have come out of no where, often there has been a great deal of thought, care, and strategizing by people who have been seriously engaged with these issues for awhile. Also, behind the scenes, many of these protesters are processing strong emotions of grief and sadness about the suffering they are seeing in the world. 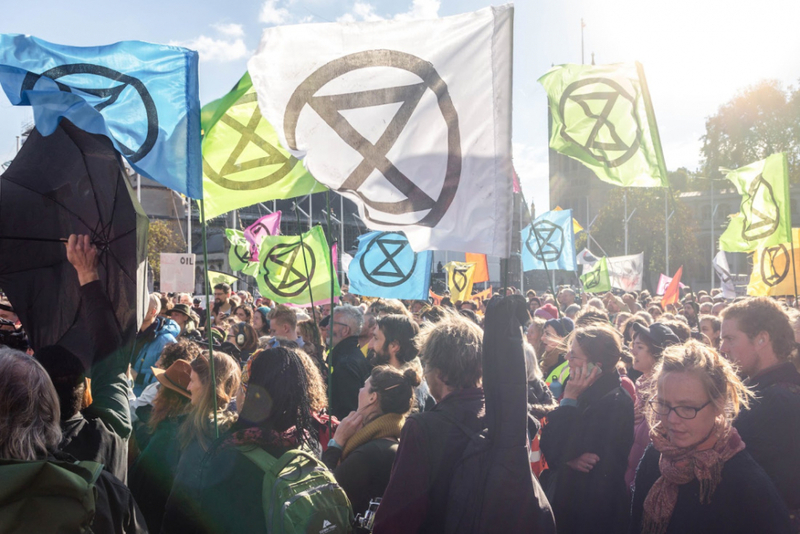 In my latest Citizens Climate Radio podcast episode, I speak with one of these people, Robin Boardman, a university student in Bristol, England, who has taken some time off from his studies to organize actions with the group Extinction Rebellion. He shares what it is like to shut down a major bridge in London. Robin also reveals the values and principles that ground the work he and his colleagues at XR do. He also talks about how XR takes time to acknowledge grief over climate change. Finally, he tells us about future major actions in the works. You will also hear from Hope Clark, (pictured above) a dancer who as been honestly and vulnerably exploring the role addiction has in her life–particularly her addiction to cigarettes. She connects these to our shared addiction to fossil fuels. Through dance and words, she is trying to make sense of it as she works through the climate grieving process that many of us feel even if it is deeply hidden and distracted by various comforts. Below is a one-minute trailer for the show and then a link to the entire podcast. Citizens Climate Radio Ep 34 Extinction Rebellion trailer from Peterson Thomas Toscano on Vimeo. Power Will Sketch 1 from Hope Clark on Vimeo. 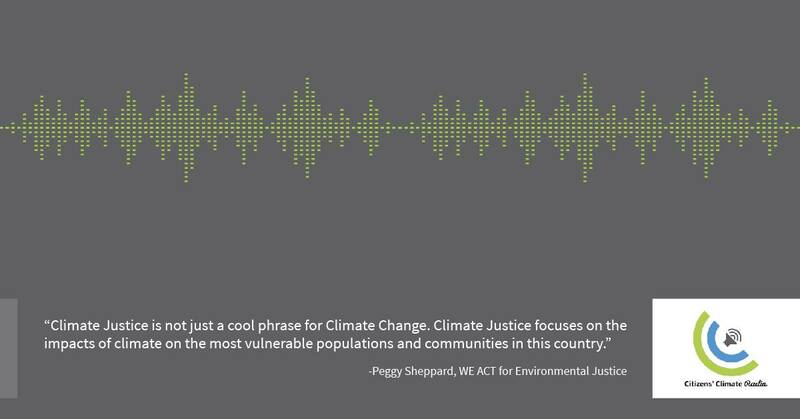 You can hear Citizens’ Climate Radio on iTunes, Spotify, Stitcher Radio, SoundCloud, Podbean, Northern Spirit Radio, Google Play, PlayerFM, and TuneIn Radio. Also, feel free to connect with other listeners, suggest program ideas, and respond to programs in the Citizens’ Climate Radio Facebook group or on Twitter at @CitizensCRadio. I recently sat down with Peggy Sheppard, the co-founder and executive director of WE ACT for Social Justice. She has been raising awareness and winning environmental justice battles in NYC and beyond since the late 1980’s. In addition, I chatted with Dr. Beverly G Ward, Field Director for Earthcare for the Southeastern Yearly Meeting of the Religious Society of Friends, talk about their work pursuing environmental and climate justice. Have a listen to this insightful and essential conversation about power, privilege, and fossil fuel pollution. You can hear Citizens’ Climate Radio on iTunes, Stitcher Radio, Podbean, Northern Spirit Radio, Google Play, and TuneIn Radio. Also, feel free to connect with other listeners, suggest program ideas, and respond to programs in the Citizens’ Climate Radio Facebook group or on Twitter at @CitizensCRadio. 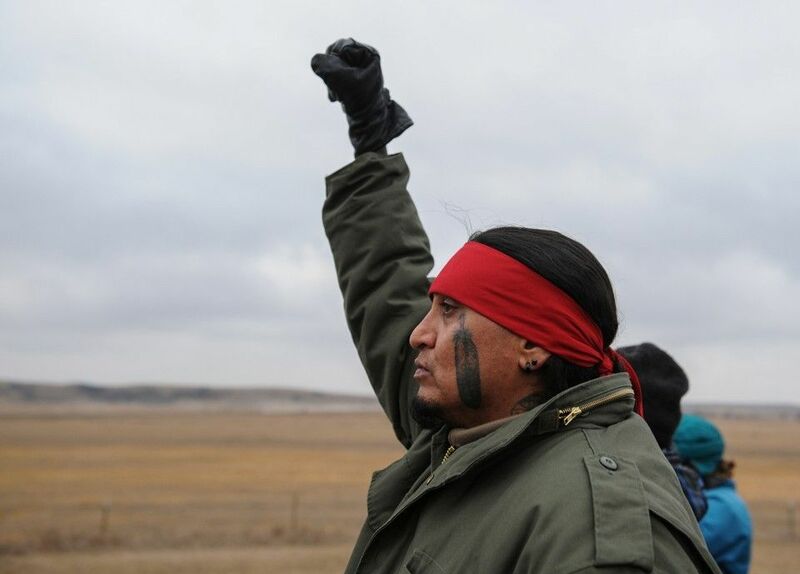 The U.S. Army Corps of Engineers has denied the remaining construction of the DAPL, the portion that would cross Lake Oahe. Yes, this is the time to celebrate a victory, but it’s not over. America will see a new administration begin on January 20th (just in time for my birthday!) I’m sure the pipeline will be brought up again, and the world of social justice must persevere. Now more than ever, communication and compassion and thoughtful approaches are key. For more details, check out this news article from USA Today. Also, read Jon Hatch’s gorgeous, moving, and insightful blog post about his visit to Standing Rock. A Christian originally from Northern Ireland, he knows about conflict, and reflects on the culture he found at Standing Rock. Have a great week and don’t be trashy. 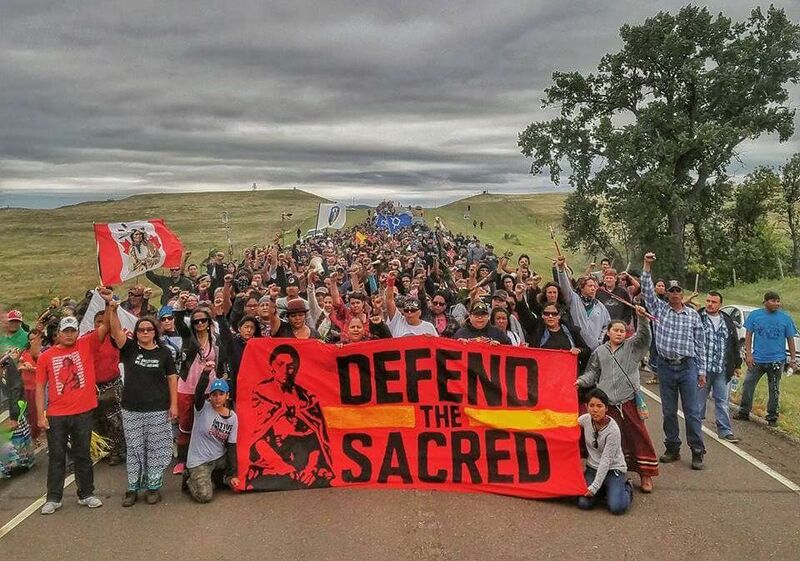 Kandi Mossett of the Indigenous Earth Network shared a live update from Standing Rock today. 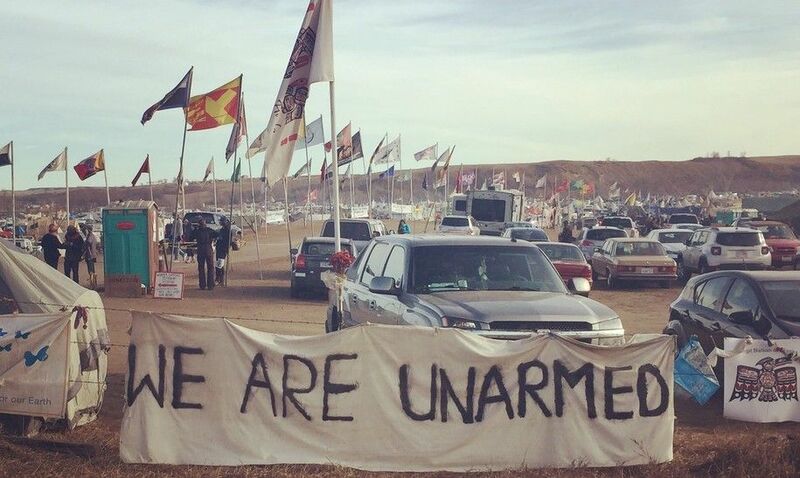 She describes the way the National Guard, police from five states, Energy Transfer Partners, and the Dakota Access corporation have corralled indigenous people in camps near DA Pipeline construction. And she calls for trans-ethnic solidarity. [These states are] sending their police forces over here to protect an oil industry pipeline which is becoming obsolete before it’s even built. The price of oil has dropped so low. The amount of oil that’s being pumped out of the Bakken Shale Formation is so low that this pipeline is becoming obsolete before it’s even constructed. There are charts; there are graphs that show that they may not even need this pipeline. And so why they’re continuing to allow it is beyond me. Mossett’s update is 16 minutes long, and includes some graphic reports of violent policing. It is auto-captioned. Mossett invites Native and non-Native people to journey to Standing Rock and stand with the Native people there. She also encourages continuing donations to the Indigenous Environmental Network of Turtle Island‘s Indigenous Rising project and to Sacred Stone Camp. 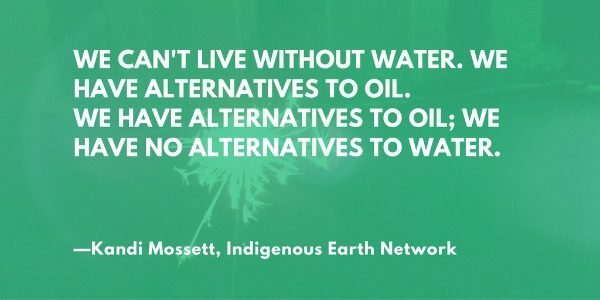 The costs of this disruption are significant and water protectors shouldn’t face them alone. People told me you cannot save the forest, but the more they told me, the more I wanted to do it. That’s the determination we need! Anita Studer, ornithologist and Swiss native, traveled to Brazil’s Pedra Talhada tropical rain forest during grad school in 1981. There she found her passion. 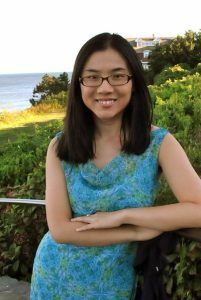 She became infatuated with a near-extinct species known as the Forbes’s Blackbird – or locally, the anumara – and naturally, Studer wanted to write her dissertation on this local legend. But she would have to do it quickly: they were predicted to be extinct in a decade due to mass habitat loss. So her objective became pretty simple: save the forest so she could study the birds. That’s great, it is. She has accomplished statistically impressive goals in the reforestation world. But her most inspiring and impactful effect? Studer got communities to come together. She effectively used her power to convince one region of the importance of restoration, and it spiraled from there, massively increasing consciousness of deforestation’s effects across Brazil. 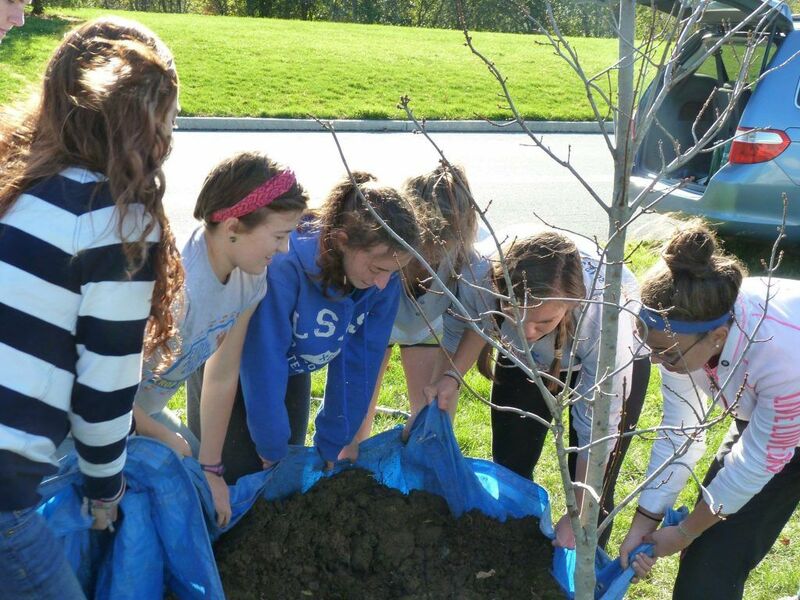 Now children are growing up with the instilled value of environmental protection. Yes, there’s a long way to go, but I hope this serves as a testament to one person’s ability to bring about change. 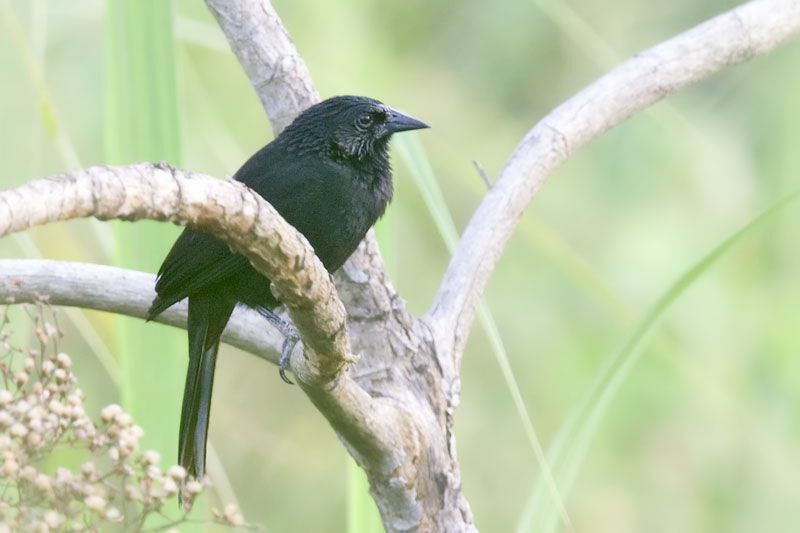 Check out How an Endangered Bird Helped Save a Brazilian Rainforest. 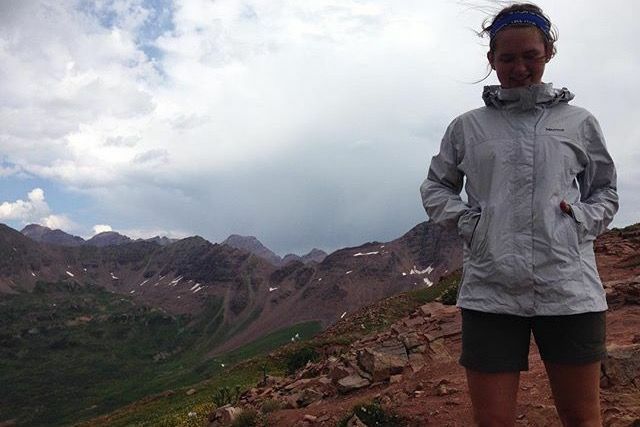 My name is Elke Arnesen, and I am here to start a weekly column with all of your environmental needs–well lots of them. Expect policy updates, opinions on environmental issues, and a lack of polar bear imagery. I know, scandalous, right? But for now, I’d like to introduce myself. 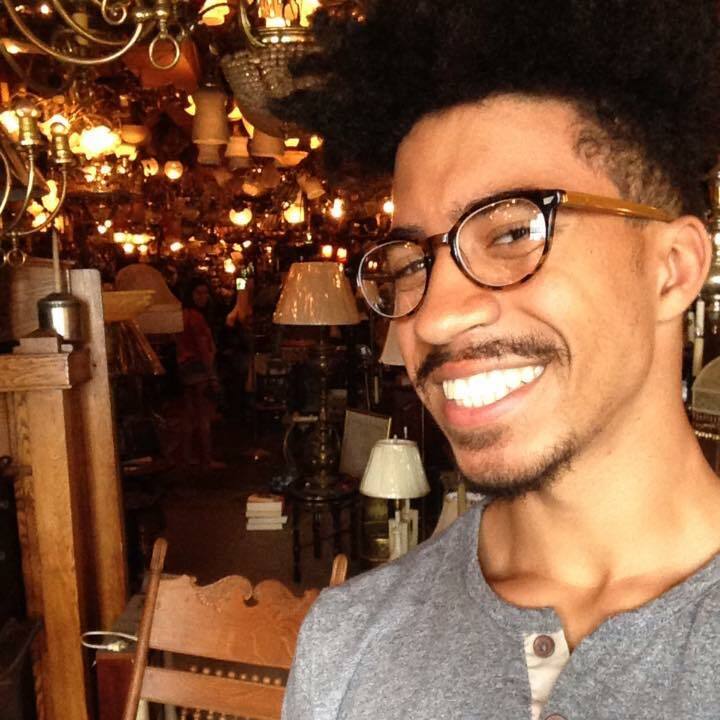 I am an 18-year-old gap year graduate who is currently interning with the one and only Peterson Toscano, scheduling events and, on occasion, opening for him. I live in Lancaster, PA, and yes, that’s the city with the worst smog pollution east of Utah (See page 14.) When I was little, I wanted nothing more than to be a pop singer, and now I know it’s best for everyone that I stay in the shower-singing-only circuit. Plus, the music industry was no match for my newfound interest in the natural world. I don’t have that “turning point” moment in environmentalism when I realized we must take serious and meaningful action now to address these climate issues. Instead, there was a long period in which I slowly made connections among topics in school, experience in the Florida Keys, and incessant googling to figure how exactly how writing letters to Congressmen makes the seas stop rising. By the time I consciously thought “we need to address the environment,” it was already such an obvious statement. 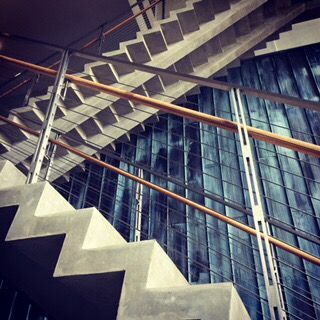 “Of course we do; everything is connected.” From there, I started a column at my high school called Our Hot Mess where I tackled the frequently inquired-about topics like national security and deliverance. Now I advocate for carbon pricing legislation as I volunteer for a group called Citizens’ Climate Lobby. I have also begun speaking publicly about our roles as constituents and humans. And for this year I intern for Peterson. I look forward to telling stories, sharing thoughts, and hopefully bringing some laughter to your world through these weekly glimpses at the realm of environmentalism. Have a great week and don’t be trashy! A podcast about the warming planet. Hosted by @EricHolthaus w/ co-hosts @JacquelynGill & @Revkin. Produced by @Stphn_Lacey. We’re all in this together. I especially like the episodes where I hear the presenters and guests, mostly scientists grappling with not just the science of climate change, but also the human aspects of it–who on the planet is affected and how do those people doing climate work process the many strong emotions around climate impacts. You hear this in the show that featured Dr. Katharine Heyhoe. The most recent show takes a look at a powerful visual tool that has zipped around social media. The info is not new–it shows how the earth’s temperature has changed during the time of humans starting in 2000 BCE to the dramatic recent increase in temperature. 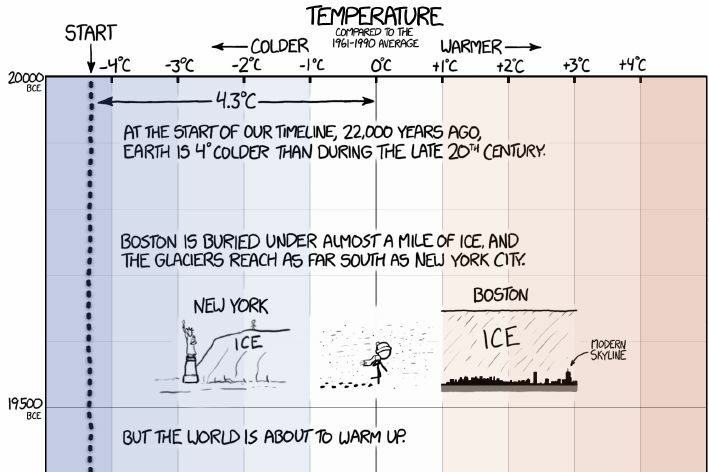 They chatted with Gavin Schmidt from RealClimate about the science behind the cartoon. Ah, but as they spoke, I wondered about the ART behind it. 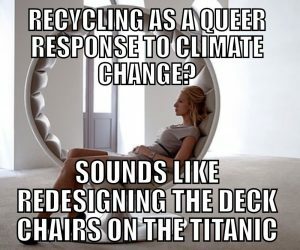 I hadn’t seen the image, so once the show ended, (I was cleaning the kitchen while listening) I found it and immediately understood why this image got such traction and interest from all kinds of people who maybe are aware of climate change, but not necessarily engaged. It is a long big image that you can see here, but below is a ice core sample from it. The drawings are skillful while also appearing amateur, almost childlike. This expertly offsets the scientific graph. It brings balance and invites non-scientists in through a medium that is familiar and friendly. The font also is inviting and non-threatening. The viewer is drawn in by familiar events from history, some that are very human and relatable. The colors are muted. They don’t scream ALARM. Like the art and the font, they are inviting. To me these elements are interesting to discuss. The role of art in moving people to feel, understand, and act is vital. Historically this is true with the abolition of slavery. Novels like Uncle Tom’s Cabin helped a generation of people to come close and to care. 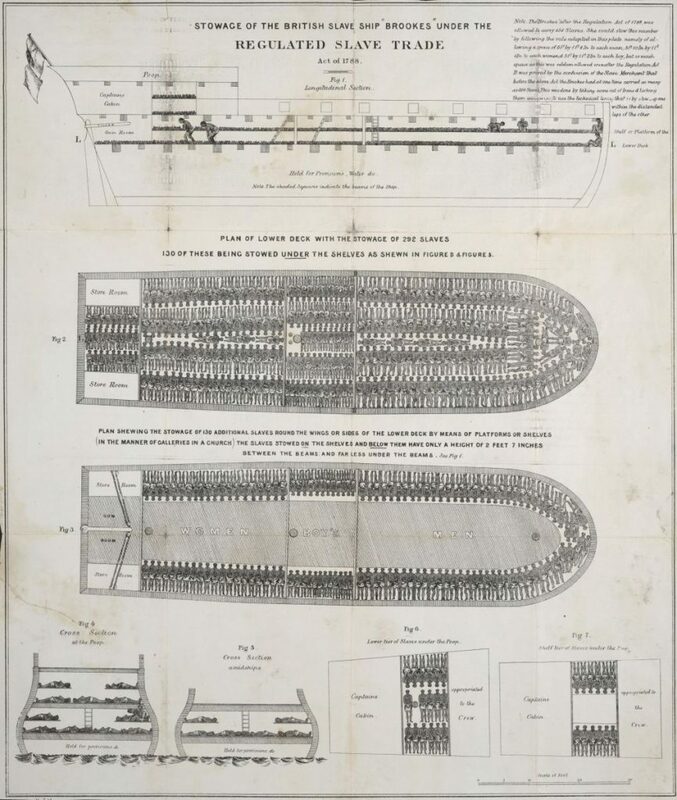 The famous meme of the cross-section of a slave ship, visually representing the cruelty African men, women, and children faced when enslaved still speaks powerfully. 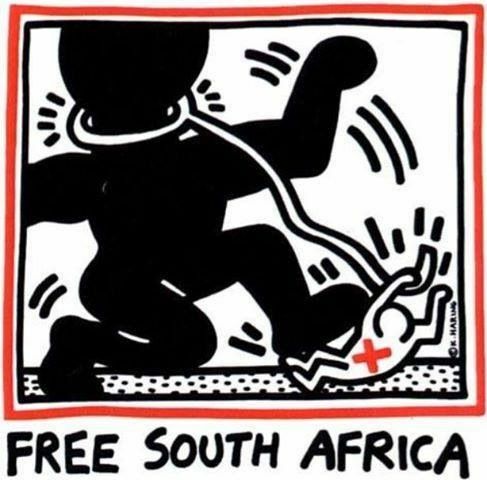 In addition to ACT UP HIV/AIDS related art, Keith Harring’s images about the Apartheid struggle communicated directly to the public. In more modern times we saw the same with all the art that developed during the South African anti-apartheid movement and with HIV/AIDS activists. My husband is South African, and had been active in the anti-conscription movement, the queer liberation movement, and the anti-apartheid struggle. The ANC activists recognized that once the artists embraced the struggle, that is when they believed they were going to win. This is true with climate change too. While there is bad art, over-the-top movies, and didactic clunky presentations in art drag, more and more quality visual and performance art is emerging that addresses the many aspects of being humans in a time of climate change. Even at the risk of making bad art, those of us who do art–visual art, installations, performance, comedy, music, etc–need to try our hand at it. That’s why on the Citizens’ Climate Radio show, we have an Art House section that features poets, and others. Next week I will share an interview and music from singer/songwriter Michael Levy. Calling all artists: You have a role on this new planet!